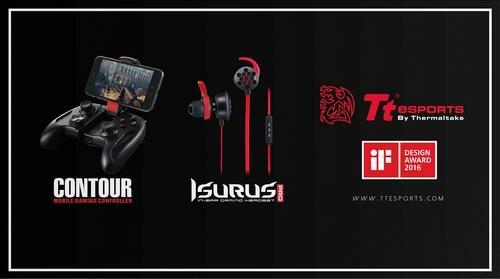 Hannover, Germany - March 3rd, 2016 - Tt eSPORTS celebrates the exhilarating triumph of receiving the astounding iF Product Design Award 2016 for the Tt eSPORTS CONTOUR Mobile Gaming Controller and the ISURUS PRO In-ear Gaming Headset. Tt eSPORTS displayed the brand spirit of “Challenge is the Game” by standing out among 5,295 entries from 53 countries, and winning the prestigious award for the third time. Once again Tt eSPORTS demonstrates remarkable innovation, outstanding design standard, and inventive engineering to the world! 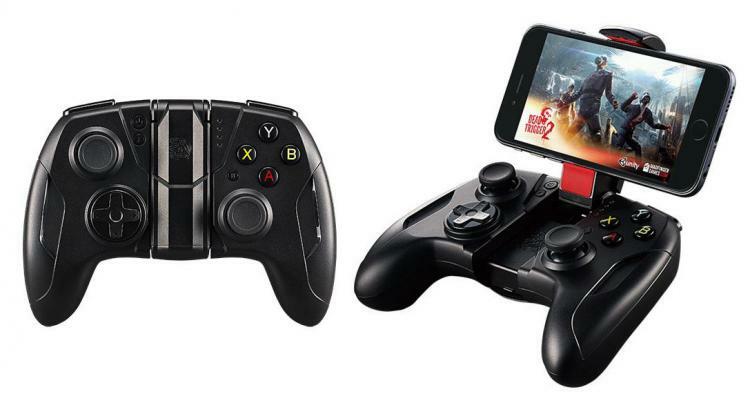 MFi certified and officially licensed Apple mobile gaming controller, the CONTOUR mobile gaming controller is designed for professional gamers who love console-style gaming. The CONTOUR brings an awesome console-style experience to mobile gamers and provides high-quality control. The CONTOUR connects to iPads, iPhones, and iPod’s via Bluetooth allowing you to play the way you want play! Easily outclass your opponents with fluid controls and button inputs across a wide range of games that ensures you are always gaming at your best! The CONTOUR also supports the new 4th Generation Apple TV, and the newly improved Apple TV has a new App Store with games that require more input than the usual directional pad, which allows multiplayer gaming. With an exceptional design that makes it the absolute precise mobile controller for both iPads and iPhones, the CONTOUR allows you to play the way you want play! With full compatibility for the new Apple TV, gamers can now take full control of their television! The new ISURUS PRO In-ear gaming headset is engineered for professional gamers. 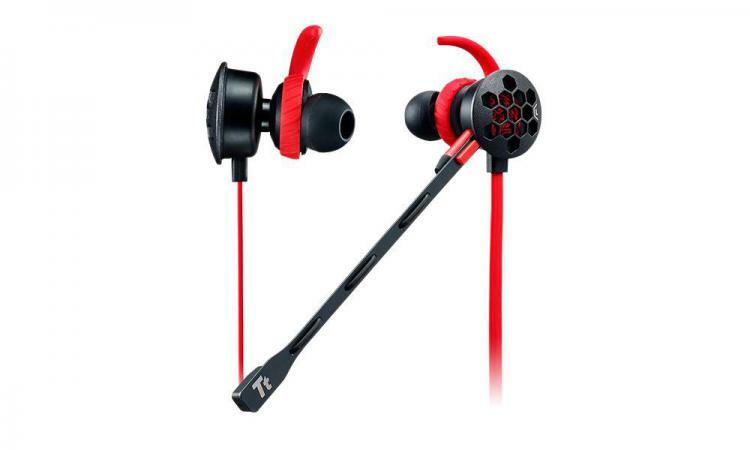 The ISURUS PRO delivers an astonishing audio and gaming experience with a comfortable ear-fit. The ISURUS PRO features an enhanced in-ear fit, compact design, large 13.5mm neodymium driver, and a flat cable design to remove tangles. Interchangeable ear-tips are included in 3 sizes to offer a more premium sound and bass response that suits you. The ISURUS PRO also features a World’s First detachable microphone that allows gamers to place it in any position that fits their game play style. Besides the detachable microphone, this remarkable audio solution also contains an in-line omnidirectional microphone with phone call control for handy voice communication with mobile devices on the go!